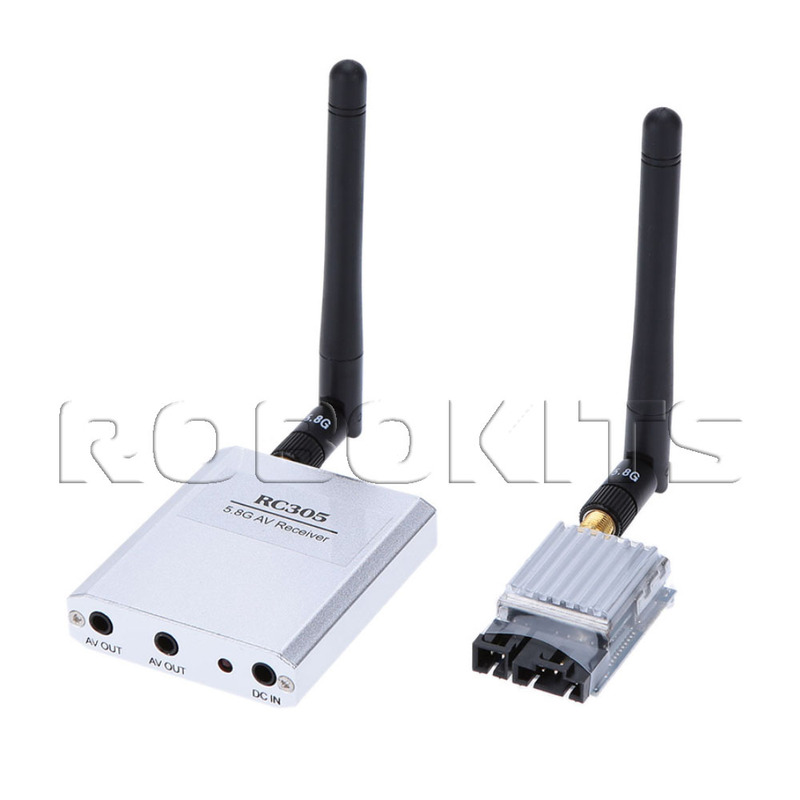 Boscam 5.8Ghz 200mW transmitter + 8 Channel receiver. 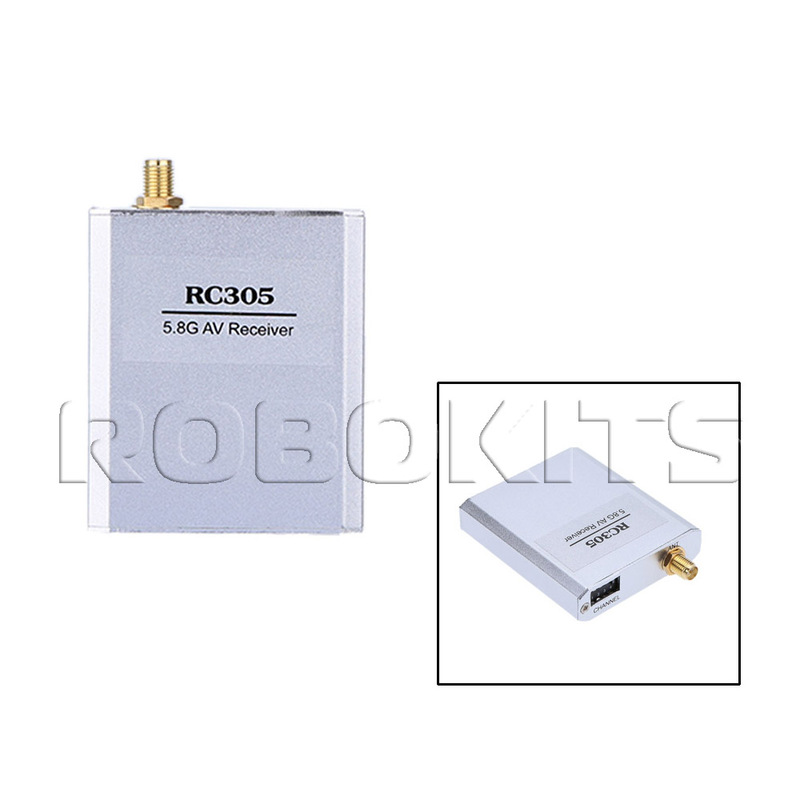 This system is Good for up to 500m flying with the supplied antenna. 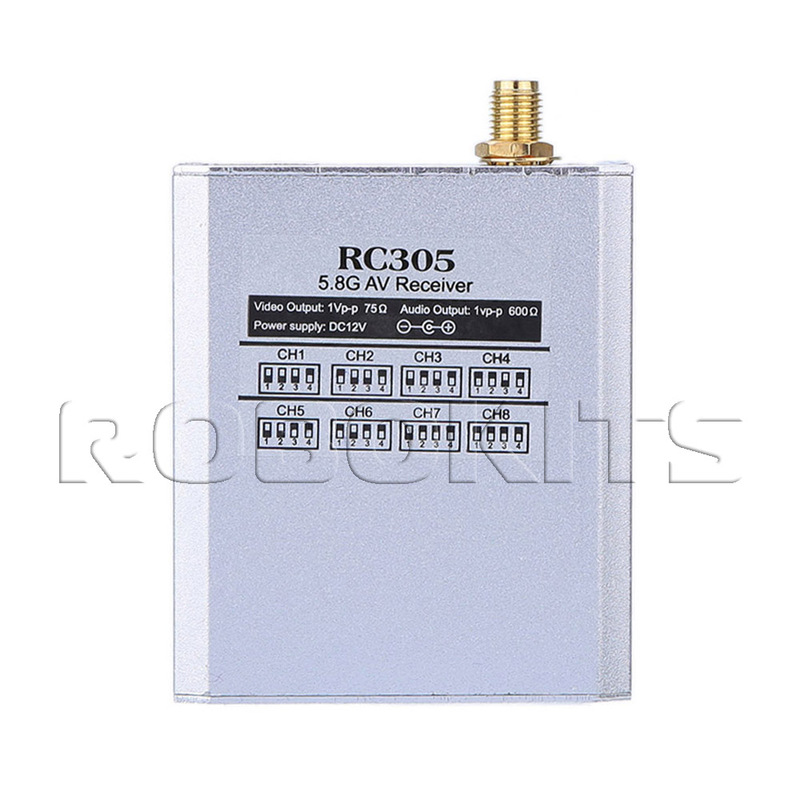 An optional directional antenna can extend range to 1km+. 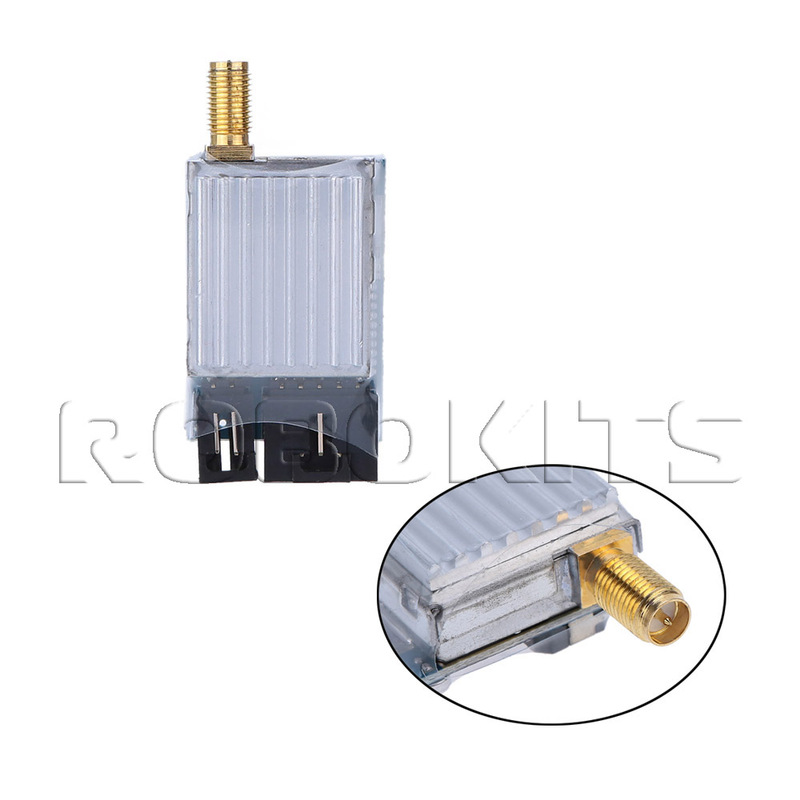 This unit a Includes built-in microphone. 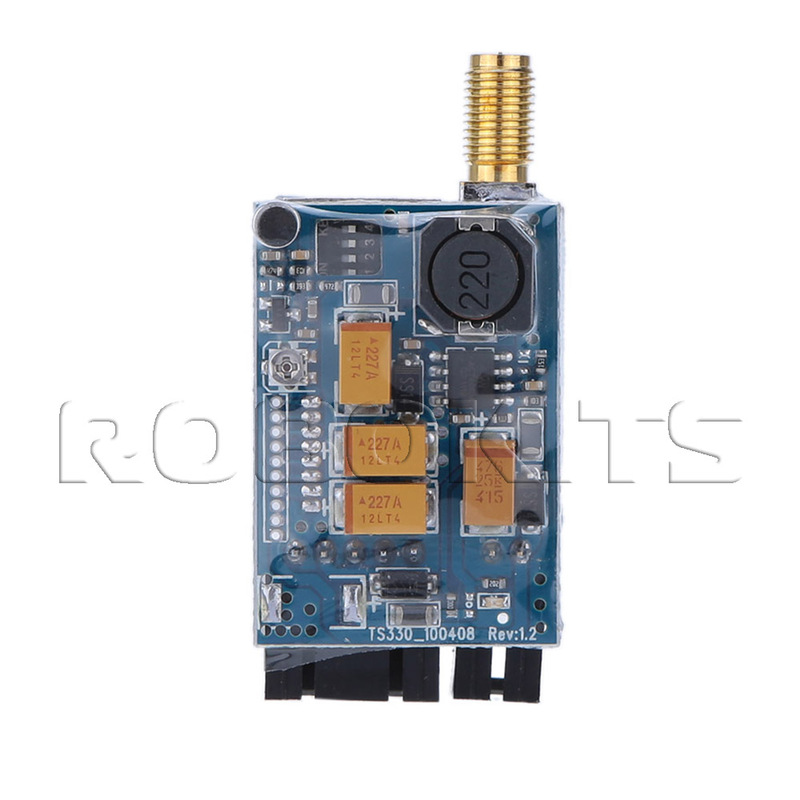 The receiver unit has additional AV outputs for video recording while using FPV goggles.